Follow the Portuguese Brickroad: Startups and Stamina! 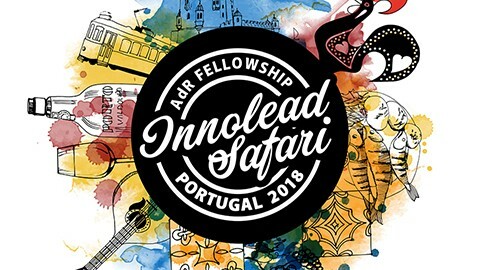 After a couple of years of hosting the Ariane de Rothschild Fellowship’s winter boot-camp (Innolead Safari) in New York City, we decided to take it to Portugal. When our CEO first brought this to me, I was a bit apprehensive, and thought, “shouldn’t we take the fellows to the cities that have a vibrant culture of entrepreneurship and innovation?” and boy was I wrong. Portugal successfully turned its economic troubles into an opportunity to reinvent itself as a European hub for startups. Scores of accelerators, incubators, co-working spaces, and repurposed structures have popped up as a result. And that trend is on the rise. The Edmond de Rothschild Foundations partnered with Calouste Gulbenkian foundation, Maze Impact and Sair da Casca to host the fellows in what will turn out to be an epic week of: Startup troubleshooting, Innovation Safari, cultural immersion and our Fellows giving back to Portuguese entrepreneurs by helping them hack some of the problems their enterprises face. The thing that stood out in all this startup hubbub is the Portuguese entrepreneurs…they embody an essential quality of a true entrepreneur — the ability to spot serendipitous opportunity as it arises as a consequence to a deliberate effort. Essentially, our experience in Portugal exposes the vital but overlooked parallels between making great startups work and making great movements or communities — both are acts of creativity and require great dexterity. The difference between Portuguese entrepreneurs and others, is their attitude to the delay of the payoff from the fruits of entrepreneurial labor. The timeline is longer. A lot longer. You don’t get the immediate gratification that you might as an entrepreur in Silicon Valley where the timelines are shorter. But Portuguese entrepreneurs are used to delayed gratification… and manage ambiguity better than anyone else. And for this reason, they will endure and it will serve other entrepreneurs well to take a page out of the Portuguese playbook. 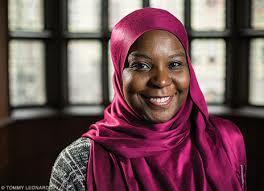 The Art of Powerful Collaborations: Humanity Rise!